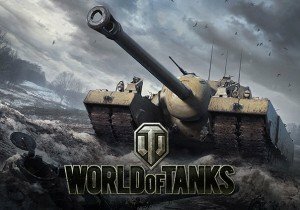 A massive update rolled out globally for World of Tanks: Mercenaries on Console today to celebrate 17 million players. Mercenaries Update 4.6 is on both Xbox and Playstation 4 has a wealth of new content, like a new Artillery camera. This ‘Trajectory’ view comes alongside the bird’s eye view and allows players to have a camera lower to the ground and rotate to follow the trajectory of the tank’s shell. This is a new and immersive way to look at the game for certain. Another update, following a high level of demand from players, health bar numbers have been added to enemy and ally vehicles. 4.6 also expands the Mercenaries Tech Tree, with several new vehicles. Here is some info on these new Mercenary vehicles and Crews now available. The Mercenary tree isn’t the only one receiving love though. New Tier X vehicles are coming to the Chinese and British trees. The WZ-111 5A is a fearsome new Chinese Heavy Tank that has excellent armor and speed – enemy tanks will struggle to get the jump on it! It’s joined by the British Heavy Tank, the Super Conqueror. With all-round thick spaced armor giving it top protection from every angle and great handling, it is a menace to slower enemies. More maps are also on the way in this update, with Caen – 1944 (inspired by a real town in north-western France, liberated from German control during the Battle of Normandy), and Pearl River, which features rugged terrain that should allow for some interesting maneuvers, flanks, and ambushes. The Clash of Lords 2 team has announced that the release of the game's next update will contain a slew of new features.